Steve, thank you for helping us after our renovations. Your services are very professional. Your office was very accomodating in scheduling an appointment with us. Your staff arrived on time, completed the work efficiently and within the estimated timeframe, and left our home in a very clean condition. Everyone was extremely pleasant to deal with. Financial Consultant, , Crossroads Financial Solutions Inc.
Steve is our go-to guy for Heating, Cooling and Air Quality. There is no one else that we would consider. On top of all that he is a mensch of the highest order. Steve is a wealth of knowledge in the fields of air conditioning, heating & all ducting manufacturing. His streangths are also in heat loss and air quality inside your home. Give him a try … I did many times! Words can not describe how great Steve is. Have referred him to many of my clients whose first comments are: Can not believe how straight forward and honest he is. He tells us what is required, or whether nothing is needed at all. Steve, thank you for your reliability, expertise, and high service standards! Steve is committed to excellent service and recommendations on HVAC needs. On time, quick response, good work ethics, clean up and service. I had the great pleasure of meeting Steve and learning of his excellent services this past year. Aside from a man of great charm, professionalism and knowledge I found he represented me admirably in the difficult work I presented him on behalf of my clients. His company is exactly the company you want to engage to address air quality issues as well as replacement of service units in your home. And Steve Youdowitch is precisely the person you want to guide you through reviewing your needs. As a designer, it is important to have reliable, skilled & trusted trades that you can refer to any client. Steve Youdowitch of Air In Motion is top notch! The products he recommends to my clients are practical, within their budgetary limits and sourced from reputable manufacturers with excellent satisfaction guarantees. I have no hesitation in referring Air In Motion to future clients….Great company service! Air in Motion Heating and Cooling provided my client with an excellent and very prompt service. I was very pleased with their professionalism and being available within a short time to provide the service. I highly recommend Steve and his team. Real Estate Representative for Royal LePage Real Estate Services. Very impressed with Steve and his team. They were professional, clean, knowledgeable and the work was done well. We had a personal issue on the day of the service call and Steve moved his schedule around to accommodate us. Steve also went out of his way to help me carry the BBQ on to the deck and ensure it worked properly. Highly recommend AIM based on both our positive experiences. When our furnace malfunctioned and had to be shut down, I called a good friend in the home services industry for a Heating and Cooling company recommendation. He suggested Steve from Air in Motion and I’m very glad he did! Steve was able to visit us the very day I called him and to install within the next few days. He was informative, prompt to respond to all forms of communication and very helpful. The furnace install went well and our house is even warmer then it was before! It is also nice that the furnace is high efficiency and carries a good warranty. We bought a new re-sale home and required an evaluation of the existing heating and air conditioning systems. We also bought new gas appliances that required installation. Steve and his associates are very professional and do a great job proposing the best solutions to meet the needs of the client. When we turned our air conditioner on during our first heat wave this past summer, I panicked because after a winter of no use it didn’t work. I jumped on the phone right away, spoke with Steve and he had someone on his team out to fix our unit within 24 hours. I liked the timeliness, quality and professional service so much that I subsequently had our ducts cleaned and again was not disappointed with the level of service provided. I will definitely recommend Steve and his team at Air in Motion to friends and colleagues. Excellent work, excellent service, and excellent people. Chris was professional, helpful, and gave us some excellent advice. Steve came around after to drop off our new filter… lovely person! Communication was clear, both were punctual, and both were a pleasure to deal with. Everything is up and running so much better than before – wish we had called them sooner. We will call them again when we need to, and will certainly recommend them to friends and family! We were interviewing companies for the job of replacing our furnace and air conditioner when we were recommended to Air In Motion Heating + Cooling by a neighbor who had this company do work for them. From the first time we met Steve was very polite, thorough and very informative about our options and what is best suited for us. After going through the options and the rebates that were available we discussed other concerns of our like liability insurance they carried, the use of sub contractors versus employees, their warranties, and the start up procedures they had…they impressed us and satisfied all of our concerns. we set a date for the installation to happen and the crew arrived on time and first put down the drop sheets as to properly protect our flooring which we just had laid. They then went through the entire job that was going to take place and where the equipment would be situated both inside and out, especially the venting. We also had installed a Hepa filter and a ERV after learning about the various indoor air quality issues and how we can protect our family while indoors which we tend to spend a lot of time in. After the job had been completed the installers Chris and Richard showed us how to use the thermostat and programmed it for us to make it easier for us to use. We can not say enough about Air In Motion Heating + Cooling, Steve and his crew. If you are in the market to purchase a new HVAC system ( furnace, air conditioner ) you owe it to yourself to call this company for a quote…you will be very happy you did…Thank you Steve for all your help…Louise & Frank. The Air in Motion service technician arrived at the scheduled time. He was very professional and courteous. Answered all my questions and was thorough and efficient with the service. Booking the appointment was convenient and easy to do. I would recommend this company. Thanks guys! I called Steve to do a cleaning and checkup on my furnace, and he sent one of his team members. They did a thorough inspection of the furnace and cleaned it. They replaced both the filter and the humidifier filter. The service technician was friendly, and helped me learn more about the furnace. Excellent service and price. Steve is the owner and demonstrates great customer service. They beat two other quotes and installed it sooner than expected. I recommend them to anyone who wants good quality service, top brand name product and excellent price. Steve is a real professional and a pleasure to deal with. I called yesterday for some new furnace filters and he got back to me immediately with a great product and at a fantastic price. Steve’s honesty and integrity allow me to refer business without any hesitation. Thanks again! Steve was able to recommend and provide a specialized system for our indoor air quality. Upkeep is important and his follow-up was great. Steve has been a pillar of excellence since the first day we met. Steve is honest and reliable. We trust our HVAC work to Steve in our home as well as recommending him to our friends and clients. Steve provides and maintains the equipment that makes the air in my home healthy. Steve is a highly knowledgeable specialist in air quality and solutions. He has proven to be reliable and someone you can trust with your air quality needs. I can easily recommend Steve because of his professionalism and attention to detail. I have known Steve for 6 years. He is a true professional and goes the extra mile for customer service. I hired Steve for a project at our church and he was prompt, efficient and very good at staying within our budget! I would highly recommend Steve. Steve has always provided my clients and myself with easily understood and accurate information. His knowledge of the heating and cooling industry is excellent. I would not hesitate to recommend or refer Steve to my clients. I have know Steve Youdowitch for more than 5 years. In that time I have found him to be a consummate professional who is concerned about others success, more than his own. He is a good teacher and mentor and always willing to help out when he can. Steve has an exceptional level of dedication and drive. His no-nonsense style makes him a hit with managers, business partners and customers. Steve is a Certified Indoor Air Quality Technician with 12 years experience in the field. He is also certified by HRAI, CMHC and ESA to do load calculations, duct design and modifications to properly size equipment and create a solid plan for upgrading. He has the right expertise to investigate any indoor quality issues in residential and small commercial buildings and come up with proper solutions that meet various budgets. Steve did a fantastic job of educating me and making feel good about the process of purchasing a furnace and air conditioner. He went above and beyond to guarantee our satisfaction. Not to mention he traveled to Brantford to help me. – Thanks Steve! Service person arrived on time and completed the service as scheduled, cleaned up the area as required and then took the time to shovel the snow below the exhaust pipe outdoors to be sure it would not block, should there be more accumulation. Gave me advice on that and a few items to look for going forward heater wise, great service and will recommend them to anyone that expects great service and a fair price. I contacted Steve for furnace maintenance because I had heard many good things about him and his company. The service was prompt and reliable and I would highly recommend his company to anyone needing similar service. As a real estate agent, I have recommended Steve to many of my clients & friends over the years & he has never failed to impress. I recently needed servicing & duct cleaning + the installation of a new humidifier and air conditioner. Within a week Steve had everything completed and running perfectly. He personally supervised all the work and his technicians were prompt, courteous and very knowledgeable. I will continue to highly recommend Steve and his crew for any heat & air or gas installation needs. We have used Steve’s company in the past and found him to be professional and honest in providing service for the air conditioner and furnace. Recently, we required a new air conditioner. Steve was prompt in sending a serviceman to assess the old unit, then came in person to explain options when ordering a new A/C. He then arranged for a new one to be installed within a day. The installers were on time, efficient and explained the installation and setup of the new unit. Steve always follows up his servicemen with a phone call to make sure they have shown up on time followed by a personal visit to the house to ensure the work is top quality and correctly installed. It is obvious that he cares about the service he is giving to his clients and that everyone is satisfied with the end results. We firmly believe that a company is only as good as the person who runs it. Steve is honest and genuinely cares about a job well done which is why we will recommend him to anyone who requires the services he offers. Thanks for all your help and advice! We just moved into our home that was built in the early 1970’s and noticed an odd smell in the room where the fireplace was. My home inspector referred me to Steve and was I glad he did because Steve instructed us to keep the windows open until he got a staff member to stop by THE SAME DAY ! The leak was quickly identified and resolved so my family could sleep peacefully that night knowing they are safe and sound. I was also given a thorough inspection of my home’s HVAC system and informed no other leaks are in the house and my system was well upgraded so no extra costs were needed. I can confidently recommend that Air In Motion Heating + Cooling is your best option to servicing or any help you need with Heating and Cooling. Steve and I belong to the same networking group (DNA) and listening to his 60 second speech mentioned that regular service on utility appliances is paramount for their continued operation. As a busy business owner myself and female homeowner, I don’t always think of this to do. I spoke to Steve after the meeting and told him that I had many questions and concerns at my home regarding these appliances so he told me that he would pop in himself to address them for me. Within the hour Steve was at my door going through each concern both in detail and to a level of understanding I could relate to. I was totally amazed with Steve and his knowledge, integrity, and professionalism. He represents trust and confidence that is so hard to find today, and I am so grateful to now have him taking care of my home in the superior way that he is now doing. I had also mentioned to Steve that I had a potential plumbing problem that needed to be addressed, and after spending hundreds of dollars with previous incompetent plumbers who I had terrible experiences with, Steve made a call on my behalf and within the hour a plumber showed up as well, actually fixed the problem this time, saving me time, money, and stress associated with having to go through another bad plumber. Steve has exceeded every possible expectation on every level and in my opinion there is no better company than Air In Motion to service and maintain your heating and cooling needs. Thanks Steve for being there for me! Having you in my home now is…….priceless! Great Job.Showed up as promised.Serviced a/c ,furnace and replaced humidifier.Very happy with the service.would use the company again.Very glad I found air in motion.I would recommend to people I know. I required a new furnace immediately. Steve was pleasant and most helpful in assessing my needs. The crew’s diagnostic and installation of my furnace was smooth and efficient and completed in a timely manner. I would not hesitate to use or recommend Air in Motion Heating and Cooling. We recently moved into Markland Wood, Etobicoke and inherited the HVAC system that was installed when the house was built. I met Steve approx 20 years ago and reconnected recently when I stumbled across and luckily found his company Air in Motion. Steve is an honest, knowledgeable and hard working guy. He is very customer friendly, completely reliable and treats his employees with the utmost respect. I was looking for a smaller company whereby the owner is onsite, Steve was. The design of our York HVAC system is flawless, meticulously installed and operating amazingly! I can’t thank you enough Steve and your very skilled Team and pleasant Team! Our Family of 5, including young children, can now feel comfort in knowing the air quality of our house is top notch! Thanks for your keeping your word in all aspects, being punctual, answering all my questions but most of all delivering an absolutely fantastic product and experience. Steve has always provided excellent service for all of our home’s requirements whether it was installing our new furnace, servicing the air conditioning system or cleaning our fireplace and chimney. 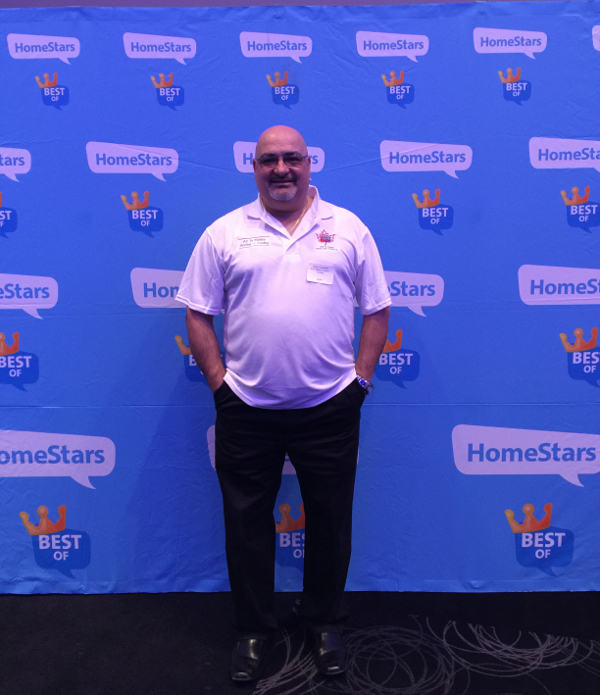 Steve is a person of the highest integrity and represents a company of universally high standards! I would never hesitate to refer Steve or use his services again. He is a very trustworthy person, always has his client’s best interest in mind and fully explains the benefits of the products that he offers. Steve and his team are true professionals and experts in their field. Steve has been taking care of our home’s heating and cooling needs for several years and I continue to recommend them to my friends and clients. Quality at its best… is what was provided by Steve Youdowitch. One of a kind! Customer care is second nature to Steve Youdowitch. When homeowners are making a considerable investment in heating and cooling systems, they want expert advice and attentive service. They can count on Steve for the services they want and deserve. At the heart of the home is the mechanical system. I asked Steve to make sure that my mechanical system was in good order for the heating season a couple of years ago and I also needed some help in the summer with my A/C. Steve had his tech’s out quickly. The service was top notch and the cost for the service was really quite reasonable in my opinion and I would not hesitate to recommend Steve for service on a home’s mechanical systems. Thanks Steve!!! I have really enjoyed working with Steve. He is readily accessible and responds to crises immediately. There was a problem with the furnace they installed and when I called to report it he was quickly at our house at 11pm and stayed past midnight! Very nice and I recommend their service. After moving into an older home last November, it was apparent there was something wrong with the heating & cooling as well as the humidity of the home. Being new to the area, I goolged and PAID a company to come in only to tell me i needed to hire someone to clean the ducts. My boyfriend met Steve through a group he belongs to so I decided to call him and have him come check out our problem. Steve was so pleasant to speak to, He knew exactly what was wrong and took the time to explain everything to me so that I understood. He pointed out our humidifier was shot, something the other company didn’t bother to mention. Steve even pointed out some other issues that needed to be addressed. I knew I could trust Steve to do the job right and he did just that with the upmost customer service. After the job was completed, Steve showed me mould outside of our furnace room, I have since hired Steve back to do an air quality test and again, he was very thorough in explaining everything to me. I would recommend Steve for any of the services he provides! Excellent customer service, skill and expertise to diagnose and repair the furnace before a more complicated and costly issue arose. The technician was courteous, pleasant and completely professional and knowledgeable. I was thrilled at the level of service and competence of the technician that came to my home. The cleaning of my furnace, HVR and humidifier was top notch. I also had my ducts cleaned the following week and was impressed with the process to ensure every segment of the system was thoroughly cleaned. Thank you Steve for top notch service. I highly recommend your company and Staff. I came home from work on one of the hottest, most humid days of the summer to find my a/c blowing warm air. I found Air In Motion through HomeStars and called to see if they could help me out. Steve called me back promptly and arranged for service the next day, which was a Saturday. They showed up on time and did a thorough cleaning and inspection. It turns out one a/c unit needs to be replaced, but fortunately the second unit is now running well and I’ll survive just fine until next spring, when I’ll have them back to do the replacement. I would recommend Air in Motion to anyone looking for fast, friendly, and on time service. Steve is a special guy, with superb knowledge of the elements of his trade, exemplary tradesmen working for him and an insatiable need to educate his clients so that there are no surprises … and those clients (like me) are more than willing to refer him to friends and family … A consummate professional. After 29 years our furnace finally died – Steve and his team helped us navigate the complications of replacing our mid efficiency furnace with a High Efficiency Furnace and Air Conditioner. They advised us on dealing with our condo corporation and helped with the paperwork. The installation was timely and professional. WE were so pleased with the service and professionalism. Thank you Steve you saved the day! It was 30C, humid-ex 35C and when our old AC unit died. I called Steve and he said he’d be at my home within an hour. In the mean time I searched for prices with other companies. Steve reviewed the situation, gave me a terrific price and we had a new AC unit by noon the next day. I wish all my dealings with companies were as smooth as my dealing with Steve. Owner Steve sent Davin over almost immediately to install a unit I purchased from Enerplace. There are plenty of heating contractors who will only install if you purchase from them (usually at a premium). There was a problem with locating the unit but Davin worked out a solution and everything is running beautifully. Thank you for a super job! I have had Steve and his crew do several projects over the last couple of years and I have always found his work excellent. Not only was I charged exactly as quoted, the work was done by a professional, knowledgeable and friendly crew. I never hesitate to recommend Air In Motion to friends, family and colleagues. The Person you sent arrived on time, was polite, was helpful with the cats, and left everything in place after the service. Both my husband and I are pleased with this service. Steve promptly returned my call for service. He scheduled Craig to attend to our service needs. Craig was fabulous! He went above and beyond, even repairing something done by a previous installer. Craig was friendly and explained what he was doing throughout. He was very knowledgeable and efficient. Steve called to check in during the service and at the end of the service call. When I have to replace my furnace and AC in a couple years I will definitely be calling Steve at Air in Motion. Thank you Steve and Craig!